If Hollywood is any guide, we can put a fork in the Blank Slate. I refer, of course, to the delusional orthodoxy that was enforced by the “Men of Science” in the behavioral sciences for more than half a century, according to which there is no such thing as human nature. Consider, for example, the movie Divergent. It belongs to the dystopian genre beloved of American audiences, and is set in post-apocalyptic Chicago. A semblance of order has been restored by arranging the surviving population into five factions based on what the evolutionary psychologists might call their innate predispositions. They include Candor, whose supreme values are honesty and trustworthiness, and from whose ranks come the legal scholars and lawyers. The brave and daring are assigned to the Dauntless faction, and become the defenders of the little city-state. At the opposite extreme is Amity, the home of those who value kindness, forgiveness and trust, and whose summum bonum is peace. Their admiration for self-reliance suits them best for the agricultural chores. Next comes Abnegation, composed of the natural do-gooders of society. So selfless that they can only bear to look in a mirror for a few seconds, they are deemed so incorruptible that they are entrusted with the leadership and government of the city. Finally, the intelligent and curious are assigned to the Erudite faction. They fill such roles as doctors, scientists, and record-keepers. They are also responsible for technological advances, which include special “serums,” some of which are identified with particular factions. One of these is a “simulation serum,” used to induce imaginary scenarios that test a subject’s aptitude for the various factions. As it happens, the simulation serum doesn’t always work. When the heroine, Tris, takes the test, she discovers that she can “finesse” the simulation. She is a rare instance of an individual whose nature does not uniquely qualify her for any faction, but who is adaptable enough to fit adequately into several of them. In other words, she is a “Divergent,” and as such, a free thinker and a dire threat to anyone who might just happen to have plans to misuse the serums to gain absolute control over the city. Alas, there’s trouble in paradise. The “factions” are groups, and where there are groups, there are ingroups and outgroups. Sure enough, each “in-faction” has its own “out-faction.” This aspect of the plot is introduced matter-of-factly, as if it were the most natural thing in the world. And, of course, since it can be assumed that the audience will consist largely of the species Homo sapiens, it is. Most of us, with the exception of a few aging behavioral scientists, are familiar with the fact that it is our nature to apply different versions of morality depending on whether we are dealing with one of “us” or one of the “others.” It turns out that Abnegation is the outgroup of Erudite, who consider them selfish poseurs, and weak and cowardly to boot. That being the case, it follows that Abnegation is completely unsuited to run the government of Chicago or any other post-apocalyptic city state. That role should belong to Erudite. Which brings us, of course, to the “bad guy.” You’ll never guess who the bad guy is, so I’ll just spill the beans. It’s none other than Kate Winslet! She plays the cold and nefarious Erudite leader Jeanine Matthews. These smarties are planning to overthrow Abnegation and seize control for themselves with the aid of the martial Dauntless, whose members have been conveniently mind-controlled with the aid of one of Erudite’s serums. Eventually, Jeanine unmasks Tris and her amorous partner, Four, as Divergents. And with them in her power, she treats them to a remarkable soliloquy, which nearly caused me to choke on my butter-slathered popcorn. Once Erudite is in the saddle, she explains, they will eliminate human nature. Using a combination of re-education a la Joseph Stalin and mind control drugs, all citizens will become latter day versions of Homo sovieticus, perfectly adapted to fit into the Brave New World planned by the Erudites. The utopia envisioned by generations of Blank Slaters will be realized at last! There’s no need for me to reveal any more of the plot. It’s a very entertaining movie so, by all means, see it yourself. Suffice it to say that, if Hollywood now associates the denial of human nature with evil bad guys, then the Blank Slate must be stone cold dead. Or at least it is with the exception of a few ancient Blank Slater bats still hanging in the more dark and obscure belfries of academia. Robert Ardrey is a writer I admire tremendously. I read him after Wild Bunch and have reread his books since because Ardrey really knows where it’s at, Baby. Man is violent by nature, and we have to learn to live with it and control it if we are to survive. There is a law of territorial behavior as true of the single roebuck defending his private estate as it is of a band of howling monkeys defending its domain held in common. Huxley long ago observed that any territory is like a rubber disc: the tighter it is compressed, the more powerful will be the pressure outward to spring it back into shape. A proprietor’s confidence is at its peak in the heartland, as is an intruder’s at its lowest. Here the proprietor will fight hardest, chase fastest. In Straw Dogs, Peckinpah’s diminutive hero, timid mathematician David Sumner, played by Dustin Hoffman, travels from the sheltered campus of an American university to be with his young wife, Amy, in her native village in England. To make a long story short, she is raped by three of the locals. Eventually, these muscular miscreants are joined by other townspeople in besieging Sumner in his territory, his house, in the mistaken belief that he is knowingly harboring a murderer. Ardrey’s territorial boost takes over with a vengeance, and Sumner draws on unimagined reserves of strength, courage, and resourcefulness to annihilate the attackers one by one. As badly behind the PC curve as any Disney film, Hollywood eventually repented and in 2000 churned out an alternative version of Straw Dogs, in which all the violent behavior was “learned.” By then, however, getting in step meant getting out of step. Even the Public Broadcasting Network had given the Blank Slate the heave ho years earlier. Straw Dogs was hardly the first time Hollywood took up the subject of nature versus nurture. For those whose tastes run more to the intellectual and profound, I have attached a short film below dealing with that theme that predates Peckinpah by almost a quarter of a century. Human nature is a funny thing. Some scientists, like biologist E.O. Wilson and linguist Steven Pinker are pretty convinced it is a real thing, and that it seriously constrains what we are going to do with our lives (the entire discipline of evolutionary psychology, or sociobiology as it was known in its first incarnation, is predicated on it). Then again, plenty of philosophers I have talked to in recent years seem to be genuinely surprised that one could still talk about such a thing in all seriousness. Surely that quaint idea went out the window after decades of criticism of genetic determinism, they say. This, of course, despite the fact that there is a long and venerable tradition in philosophy of perfectly comprehensible talk about human nature. In the second paragraph of the above quote, we find Pigliucci all unaware that the “philosophers” who were “genuinely surprised” that there is, in fact, an entire academic discipline that does take the notion of human nature “in all seriousness,” are actually leftover Blank Slaters of a type it’s becoming increasingly hard to find outside of the academic echo chamber. He also seems unaware that the “decades of criticism of genetic determinism,” really amounted to nothing more than the deification of a propaganda slogan. For all I know, there may actually be “genetic determinists,” but if so, they must be as rare as hen’s teeth. I’ve never actually seen one. If any of my readers ever happen to run across the genuine article in a circus sideshow or some similar venue, I would be most grateful if they’d spread the word. Indeed, even people like Pinker seem to be sending somewhat mixed messages about the whole concept: on the one hand he vehemently (and justly) attacks the idea of a “blank slate” (though I don’t actually know too many people who hold onto it in anything like the original, strong, Lockeian version. On the other hand, however, he claims — huge data sets in hand — that human beings have been able to yield to the “better angels” of our nature and have progressively built societies characterized by less and less violence. Nature, I confess, has put into man a desire of happiness and an aversion to misery: these indeed are innate practical principles which (as practical principles ought) do continue constantly to operate and influence all our actions without ceasing. Principles of actions indeed there are lodged in men’s appetites. Because of my original training as an evolutionary biologist interested in nature-nurture issues, I guess I never understood the (alleged) dichotomy. My basic take is that human behavioral traits (“human nature”) are the result of a continuous and inextricable interaction between our genes and our environments — which means that it makes no sense to ask what percentage of what we do is “caused” by genes and what percentage by the environment. If you add the well established concept, in evolutionary biology, of phenotypic plasticity — the idea that different sets of genes help produce wider or narrower ranges of behaviors in response to the quality of environmental inputs, and that the majority of these environmental inputs are nowadays the result of cultural forces — you’ve got a fairly solid framework to argue that yes, there is such a thing as human nature, but no, it isn’t unchangeable. In fact, as far as human nature is concerned, no such dichotomy has ever existed outside of the fevered imaginations of Pigliucci’s Blank Slate “philosophers.” If he would trouble himself to read the first chapter of any undergraduate Evolutionary Psychology textbook, he will notice that the point is usually forcefully made that no such dichotomy exists. Certainly such Pinkerian unpersons as Lorenz and Ardrey constantly insisted there was no such dichotomy, as did E. O. Wilson. When Pigliucci claims that “percentages make no sense,” he is simply misrepresenting the claims of the users of the mathematical techniques he alludes to. Finally, when he claims that, “yes, there is such a thing as human nature, but no, it isn’t unchangeable,” he reveals a deep misunderstanding of what is actually meant by the term, “human nature.” The term is both meaningless and useless unless one is referring to a bag of behavioral traits whose ultimate cause is to be found in our genes. The fact that the expression of those traits can take on an infinity of different forms does not imply any change in that ultimate cause. The only way in which “human nature” can change is via genetic change. 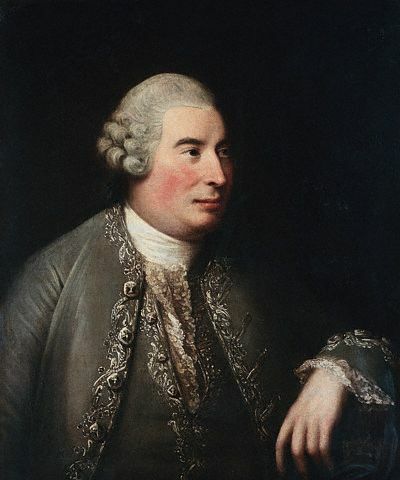 Hume’s work on morality was the quintessential Enlightenment project: an exploration of an area previously owned by religion, using the methods and attitudes of the new natural sciences. His first great work, A Treatise of Human Nature, had this subtitle: Being an Attempt to Introduce the Experimental Method of Reasoning into Moral Subjects. Hume believed that “moral science” had to begin with careful inquiry into what humans are really like. And when he examined human nature – in history, in political affairs, and among his fellow philosophers – he saw that “sentiment” (intuition) is the driving force of our moral lives, whereas reasoning is biased and impotent, fit primarily to be a servant of the passions. He also saw a diversity of virtues, and he rejected attempts by some of his contemporaries to reduce all of morality to a single virtue such as kindness, or to do away with virtues and replace them with a few moral laws. Morality is nothing in the abstract Nature of Things, but is entirely relative to the S3entiment or mental Taste of each particular Being; in the same Manner as the Distinctions of sweet and bitter, hot and cold, arise from the particular feeling of each Sense or Organ. Moral Perceptions therefore, ought not to be class’d with the Operations of Understanding, but with the Tastes or Sentiments. Consider, as a controversial example, Pinker’s own theory in The Better Angels of Our Nature, that violence has more or less steadily gone down throughout human history (yes, despite two world wars in the 20th century!) at the least in part because of our ability to talk to each other and originate and spread (philosophical) ideas about democracy, justice, and so on. If Pinker’s outline is even remotely close to the truth, then we have a situation where pre-existing feelings of intra-group fairness and cooperation, which we inherited from our primate ancestors, gradually, via cultural evolution, got more elaborated and became applied more broadly, generating what Peter Singer refers to as our enlarging circle of empathy and moral concern. In other words, by enlisting Hume in a cause I daresay the great philosopher would have strenuously objected to were he still among us, Pigliucci ends by claiming that there actually is something as un-Humean as “moral progress,” and that the fictional existence of such a thing counts as a “change in human nature.” He tops it off with the non sequitur that this “change in human nature” is “achieved largely via cultural evolution, itself grounded in our specific genetic heritage as social primates. What can I say? I suppose that, first of all, I must congratulate Steven Pinker. His imaginary “history” of the Blank Slate has apparently been swallowed, even by someone who is one of his most eloquent academic opponents. In other words, his fiction is well on the way to becoming the “truth.” And who is likely to ever question the “truth?” After all, most serious history is now written by academics, and what academic is ever likely to draw down the ire of the rest of his tribe by insisting that the “men of science” were full of crap for more than half a decade, but were finally forced to admit they were wrong by a playwright? Good luck with that. Other than that, apparently the concept of “human nature,” a vernacular term understood by virtually every member of our species above the age of 10 as something constant and unchanging in our behavioral repertoire, is not so understood in academia, or at least not universally. It remains to find a ten-year-old with sufficient influence and charm to explain the concept to the academics.